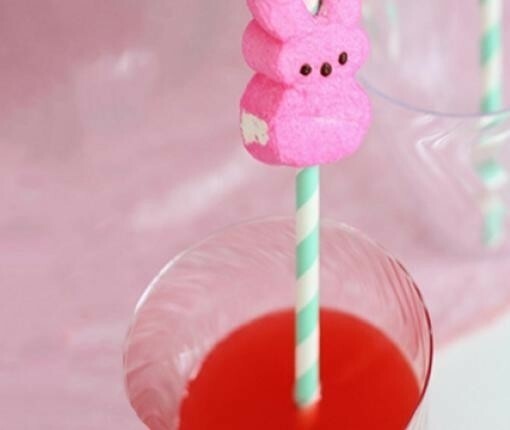 A marshmallow bunny on a straw makes this classic punch recipe perfect for your Easter soiree. Combine soda, punch, and orange juice in a punch bowl, pitcher, or drink dispenser and serve! For extra fun, slide bunny marshmallows onto party straws.